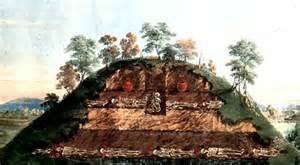 I have known ‘TAL’ since the early 1990’s and have found the information supplied by him as published in “The Hollow Earth Insider” and “Unraveling the Secrets” over the years to check out from other sources to be factual. 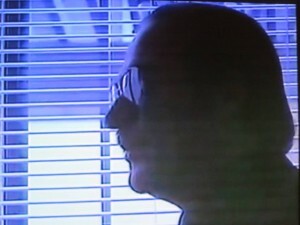 This photo of him was taken in 1990 in Los Angeles when he was filmed by Nippon Television program dealing with Area 51 in Nevada and Dulce, New Mexico. He requested that his face be blacked out for the program. The interview took place at my residence in Gardena, California (where I was living at that time). The two-hour program was shown only in Japan on March 24, 1990. In the early 1990’s, Jason Bishop III visited with me many times at my residence, even after I moved to Torrance, California.Apparently, at that time, he was living in Redondo Beach, California. 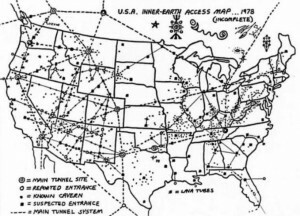 The original “underground tunnels” map released by TAL in 1978. The 10 Most Mysterious Events (12/2012). Featured Image: Map of Oak Island Nova Scotia. SOURCE: Wikipedia Commons (Public Domain). It has been the focus of “the world’s longest and most expensive treasure hunt” and “one of the world’s deepest and most costly archaeological digs”. . . . From intro published with video. Oak Island Money Pit News Piece 2011 (treasure update). A Florida man who went hunting for pythons in Florida’s Everglades returned instead with a mysterious treasure: an antique, diamond-studded gold medallion that could date back to the 17th century. How the handmade, penny-sized amulet got there is a riddle. One theory is it could have been aboard a ValuJet plane that crashed nearby in May 1996 – or that perhaps it was part of the debris field from an Eastern Airlines crash in the same area in 1972. The fact that it is partially melted on one side could support that idea. . . . Read Complete Report with photos. Diamonds and rubies and sapphires, oh my! Precious stones hold more than glitz and fame. They also hold mystery and intrigue. For instance, famous some are infamous for the misfortune they’re believed to attract to their owners.